It was only two years ago when the name Matthew “Skrapz” Marshall was relatively unheard of in the competitive Call Of Duty scene. Fast forward to 2018 and he has made a name for himself - he's acquired a P1 Visa with Red Reserve and is moving to Texas for the next season. So how did one man from Manchester quickly rise up the ranks? Joe Griffin takes a look at his journey so far in this player profile peice. Skrapz began playing at a competitive level back in the Black Ops III season under the small UK-based organisation Team Tempo. He competed in various online tournaments and even some Twitter challenges in which his natural talent soon caught the eye of other orgs, including Belgian organisation Epsilon Esports. In May 2016, Skrapz was picked up by Epsilon to play alongside fellow Britons Moose, SunnyB and Reedy. He faced his toughest opponents yet in multiple CWL events to end the season. A promising 5–6th place finish at the EU CWL Stage 2 Playoffs, against strong European opposition, gave Skrapz his first taste of real money as the team earned themselves $16,000. This form led to a dominant performance from the Epsilon boys at Insomnia58 where they took 1st place, setting them up nicely for the big one - the Call Of Duty Championship (CWL). A slightly disappointing result at Champs saw Epsilon place 13–16th taking home $20,000 in prize money. But it was not all doom and gloom for Skrapz as he had drawn the attention of UK veteran Tom “Tommey” Trewen. Progressing into the 2016/17 Infinite Warfare season, Tommey took Skrapz on board under London-based esports giants Fnatic. The roster also consisted of Skrapz’ twin brother Wuskin and his former teammate SunnyB. Despite the odd Twitter row now and again, Skrapz has spoken highly of his brother. Their close relationship is refreshing to see as they have grown together in the competitive CoD universe. The season did not go entirely to plan for Skrapz and co. as they failed to place higher than 7-8th at a Global CWL event up until the penultimate event of the year - the Stage 2 Playoffs. They ended up 5-6th, taking home a prize of $32,500 and outplacing top teams like Splyce and Enigma 6. The Fnatic squad were certainly capable of causing upsets and they needed one desperately as they headed into the 2017 Champs. Things looked promising as they topped their group (3-0), heading straight to the knockout stage, but soon went downhill as they lost two consecutive series, knocking them out of the competition. 2016/17 was a real test for Skrapz as he faced the best of the best. Skrapz' ascent continued into CoD: World War II where we saw a revert to the popular boots-on-the-ground gameplay - a mode that we hadn’t seen Skrapz compete on before. This change would give him the opportunity to showcase his abilities by adapting his gameplay to suit a slower-paced Call Of Duty. Skrapz began the 2017/18 season with UK organisation Unilad, who were brand new to the Call Of Duty scene and known for their involvement in the competitive world of FIFA. The roster included Seany, Moose and his brother Wuskin. 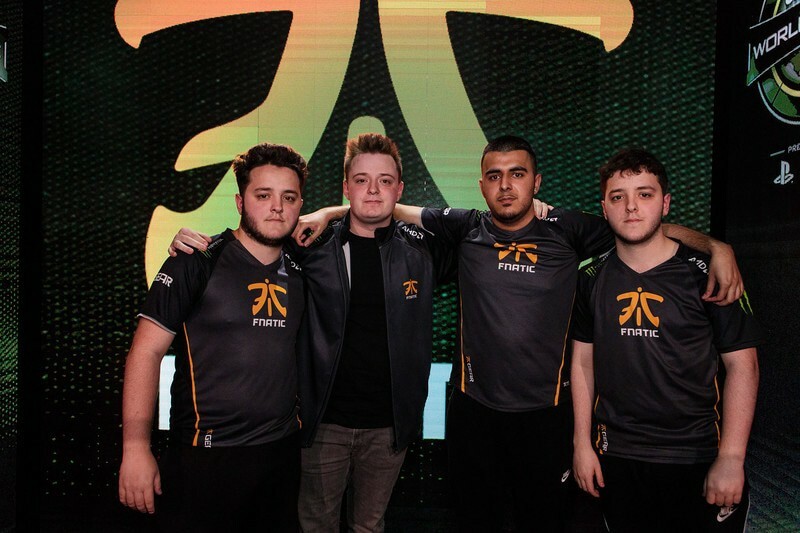 The squad did not perform too well as they achieved consistent placings of 13–16th over the first four events, however, Skrapz’ individual performances continued to stand out and it was becoming increasingly likely that the team would make a change. 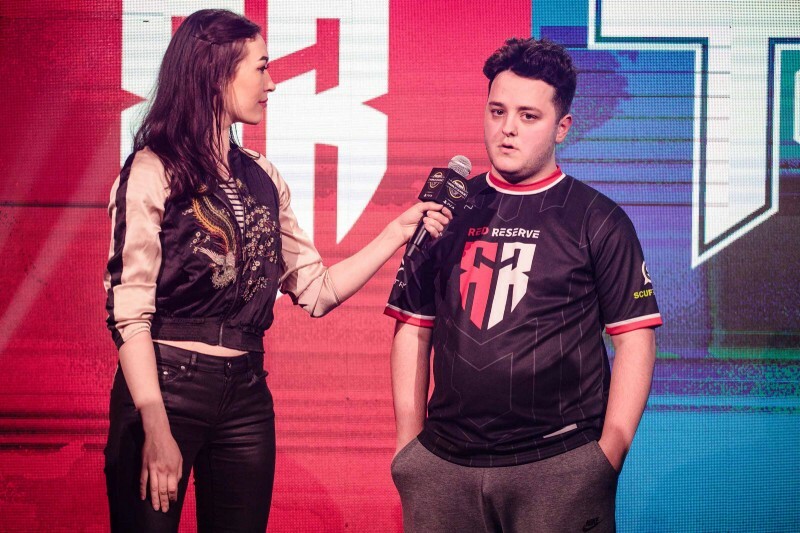 For the final three tournaments of the year, he joined his biggest team yet, Red Reserve, who acknowledged what Skrapz could bring to their game. The new roster of Rated, Joee, Zero and Skrapz was expected to do big things. CWL Anaheim was the first event that Skrapz attended under the Red Reserve banner - and the team was under pressure to perform. The boys did not fail to impress as they reached the grand finals for the first time that year, but just fell short to an unstoppable Rise Nation, earning themselves $48,000. This performance cemented their place as a top team and made them ones to watch going into the last two events of the year. Another strong performance at CWL Stage 2 Playoffs saw them place 3rd and take home a hefty sum of $92,500 - Skrapz’ largest earnings from a single event. Heading into the final and most important event of the year, CWL Championship, Red Reserve were feeling confident that this was their chance to bring home Europe's first World Championship. Despite the high expectations, a stubborn Luminosity stopped them in their tracks, giving them a disappointing placement of 7–8th. Red Reserve are now considered the best team in Europe. With the addition of Bance from Splyce, they can only get stronger as we look forward to the new Black Ops 4 season in a 5v5 format. The 2018/19 season will be Skrapz' biggest test yet as the competition hots up. Skrapz has had a solid career so far. But can he continue to flourish amongst the best? We will soon find out on December 7th as the CWL heads to Las Vegas for the first open event of the season.